One of the most satisfying things about exhibiting community stories is the unexpected consequences that can occur. Since its opening in May 2015, Cape Fear Museum has made a number of connections through Reflections in Black and White. 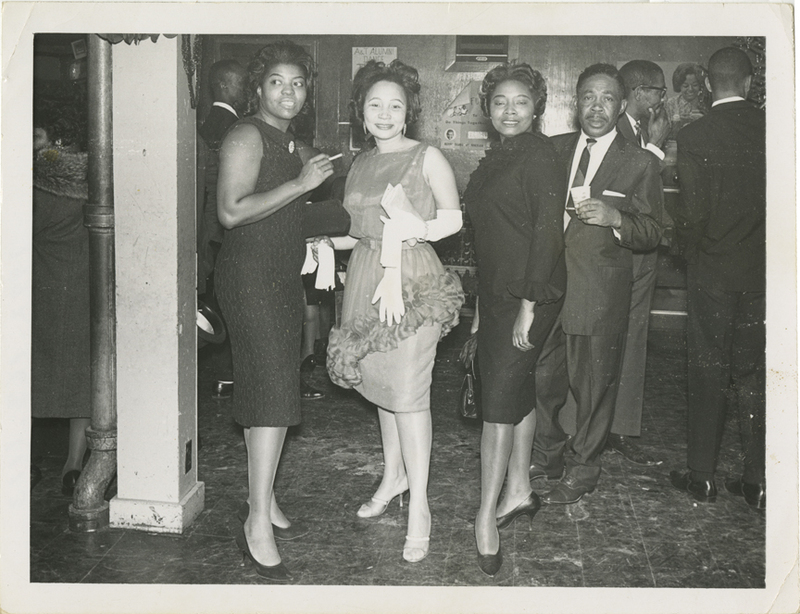 The exhibit features black and white photographs of Wilmingtonians during the era of legalized segregation. The exhibit has generated a good buzz: we’ve had nice coverage by the press and many positive visitor responses to the photographs in the show. Jan didn’t want to approach her neighbor with the photo without some kind of confirmation that it was her. So she returned to the Museum’s catalog record and read that the woman in the ruffled dress had been identified earlier as Evelyn Coston Hinnant. Jan then double checked the New Hanover County tax records and saw a Mrs. Hinnant lived across the street from her. “So I took her a copy of the photograph. Mrs. Hinnant was delighted to see her younger self, and eagerly identified the two women standing next to her,” Jan says. The woman on the right was Barbara Graham, a Williston classmate of Evelyn’s when she was Evelyn Coston. Virginia Pearsall is on her left. “And she thinks she may still have that dress,” Jan added. Mrs. Hinnant later visited Cape Fear Museum to see the exhibit and her photo in person (see bottom left). The second unexpected encounter happened at the Museum. 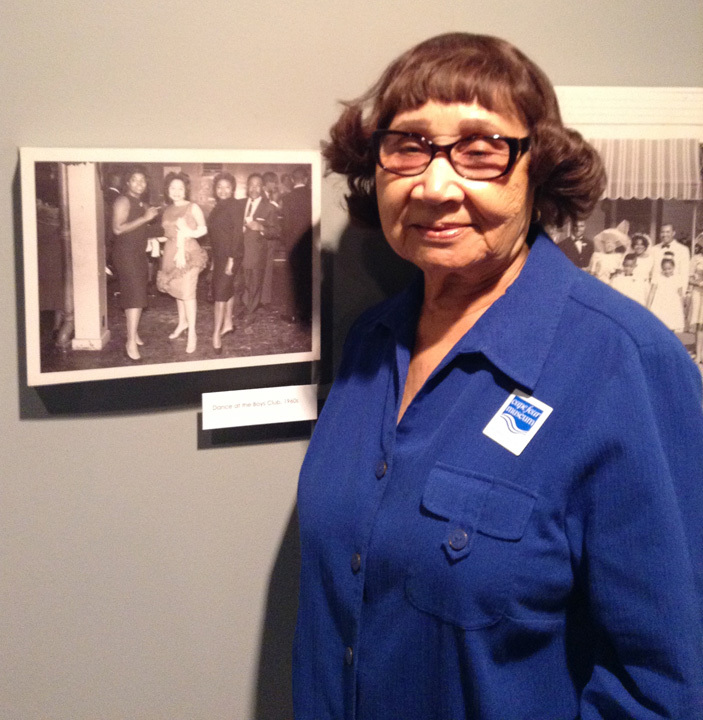 Castle Hayne resident Judy Humbles Dixon visited the Museum in August, with a young relative. As she was on the way out, Ms. Dixon told the front desk staff of the Museum she’d seen a picture of her family on the wall in Reflections. 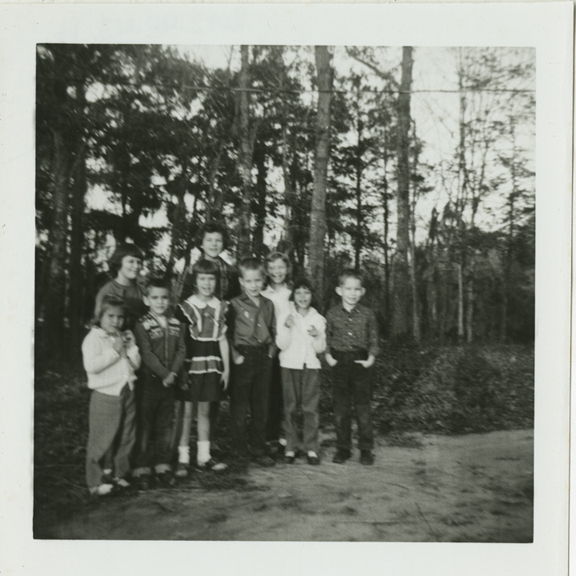 The front desk staff called Jan, who rushed downstairs to ask if Mrs. Dixon would identify the people in the photograph. Mrs. Dixon identified almost everyone in the photographs, and was delighted to get a copy of the entire envelope of images to share with her family (right). 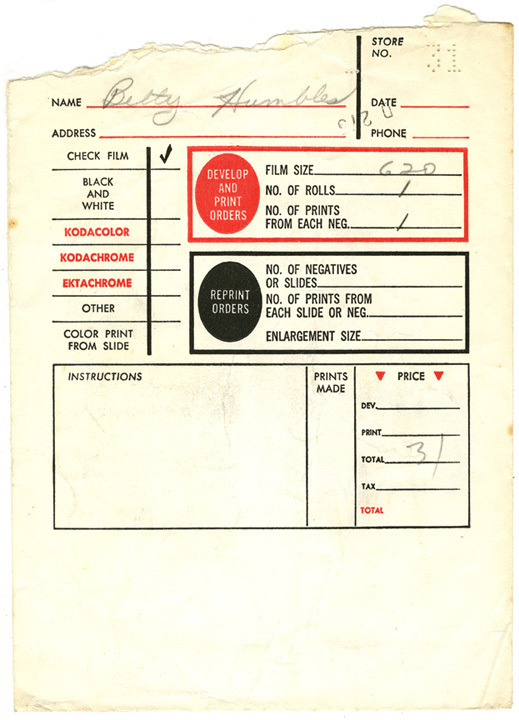 The Camera Shop Collection has its own backstory – the images came to the Museum third hand. They were photos that weren’t picked up from the store. Someone was cleaning out a house in Wilmington, and decided to keep them. Then, about 15 years ago, he traded the envelopes with Michelle Masson. In 2012, Masson donated the entire collection to the Museum. There are still numerous images in Reflections that we’d love to know more about. Come in and check it out!